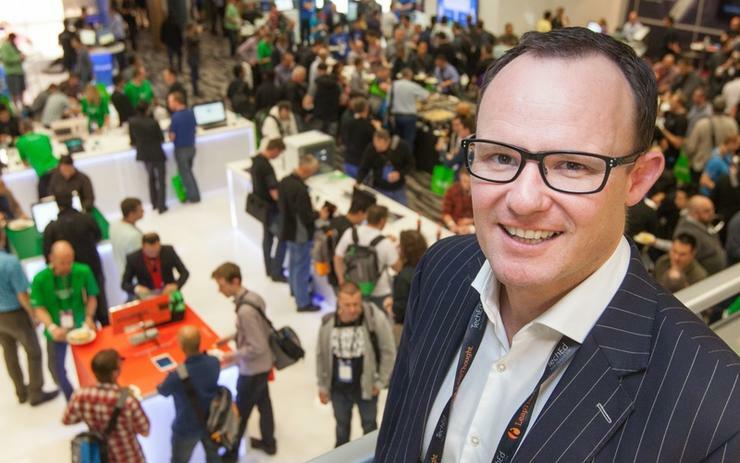 Microsoft New Zealand’s former Managing Director, Paul Muckleston he will be taking up a new Redmond, Seattle based role with the company as General Manager Worldwide Surface Channel Sales. The move for Muckleston was foreshadowed in Microsoft’s recent announcement of the appointment of Barrie Sheers, former Vice President and General Manager for the Software Group of Dell for Asia Pacific and Japan, to the role of Managing Director for the New Zealand subsidiary. Muckleston has worked at Microsoft for nearly 19 years, and has held the Microsoft NZ Managing Director role for the last five years. “Paul is well known for his entrepreneurial spirit, his drive for results, rigour, people leadership and for setting and then delivering against the highest standards - all the right attributes to build our Surface commercial channel worldwide,” says Vahé Torossian, Corporate Vice President for Worldwide Small and Midmarket Solutions and Partners, Microsoft. In his new role, Muckleston will be responsible for leading the Surface and Surface Hub commercial channel sales organisation and the globally distributed channel sales teams for the devices business, based out of Microsoft’s Redmond headquarters. His key focus will be channel development, sales strategy and execution, including launch, development and landing of the Surface commercial channel expansion plan and Surface Hub – Microsoft’s recently announced conference room solution for improving collaboration and productivity. “After five years as New Zealand Managing Director, my family and I are excited by the opportunity to move to Redmond,” Muckleston. “Accelerating the growth and impact of Surface in commercial, and launching and scaling Surface Hub as a new category for Microsoft globally is a privilege. “I’ve seen first-hand how Surface is a proof-point for the reinvention of Microsoft - and we’re just getting started. “The New Zealand subsidiary has gone from strength to strength locally as Microsoft has been changing and growing globally with an ambition to be the productivity and platform company for a mobile-first, cloud-first world. Since joining Microsoft in 1996, Muckleston has held leadership roles across sales, marketing, and business development including Communications Sector Director, Developer Experience Director, Marketing and Operations Director, as well as Country and Multi-Country Area management roles in Central and Eastern Europe and New Zealand. Previous to Microsoft, he worked at Axon Computertime and Telecom New Zealand. Muckleston says he will remain in New Zealand for the next 6-8 weeks to implement a planned and structured transition from his leadership to Sheers and that they will continue working closely over the coming months to ensure a smooth induction process.